Well it’s all go around here. In addition to the article I did for the Sunday Times on 10 May about my experiences on Live Below the Line, I was also asked to write about shopping on a tiny budget for the Money section of Mirror Online. 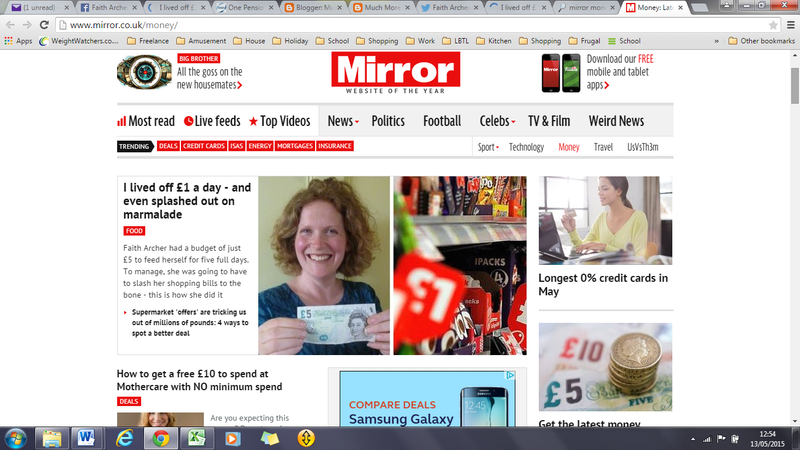 And if you’ve already ready the article, and clicked through from the Mirror website, welcome! Mirror Money Online, just after the article was posted! 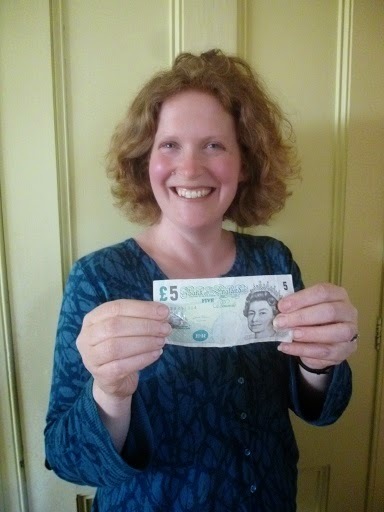 It’s been very weird seeing my picture, grinning madly and clutching a fiver, plastered on Mirror Online. Thanks very much to my mate Heidi who took the photo. I now have a whole load of frowning selfies on my camera, after running round the house trying to find a plain backdrop that disguised my lack of housework. It’s also been weird seeing the number of “shares” ticking up, as people forward the article link on Facebook or Twitter. Either my mother now has RSI, or that’s more than 2,300 people with some interest in shopping on a tiny budget (or pictures of red-faced middle-aged mothers). If anyone has any questions about Live Below the Line, or budget food, or budgeting, do please ask. I don’t pretend to have all the answers, but I might be able to point you in the right direction. I’d love to hear your top tips on cutting your food bills too. I certainly benefited massively from the information shared by other bloggers and websites in trying to feed myself on £1 a day for 5 days on Live Below the Line, to raise funds for Unicef, the world’s leading children’s organisation, and awareness of the 1.2 billion people living in extreme poverty worldwide. The Live Below the Line challenge continues right through 30 June, so there’s still time to sign up here.